Elkagorasa the Casual: What would you change in the UI with Cataclysm? I don't know about you, but I run a ton of add-ons. I run add-ons for fighting, I run add-ons for rep tracking, I run an add-on for auto-selling grey items and repairing when I go to a vendor. Blizzard, in the past, has taken some of the favorite add-ons and rolled them into the game (loot window follows to mouse, integrated quest map). One thing that has always bugged me was the "looking for" interface. When out on my warlock in old zones, I like to search for 'low-level quests' in addition to pick herbs. On the current interface, this is an either/or option. You can't do both, while logically, my orc could. 1. Something that flashes, or prompts, the user when they loot an This Item Begins A Quest... item. 2. A button (like the leave vehicle), or maybe even you mount button, that appears when you touch down as you land on your flying mount. I'm always bunny hopping swinging my mouse either up to my buffs to cancel my flight buff or down to my mount key to dismount. So clumsy. First up; I’ve really enjoyed your blogging, and although I normally lurk, this hit near and close to my heart. One word; button timers. It would have to be button timers. I find them insanely useful as a warlock, and they have upped my game considerably. I find that it’s the one add on I could never see me getting rid of. I mean other add-ons I use, for example Power Auras, are nice too, but I could easily get by without them. The graphical representation of all my various cool-downs and is something that makes it so much easier to prioritize spells while jumping out of the way of the bad. You should really submit this to BA...they needs more questions! @Cassandri - interesting. Lately, I've taken to landing from my mount and casting a spell to dismount. Especially while questing in an area. 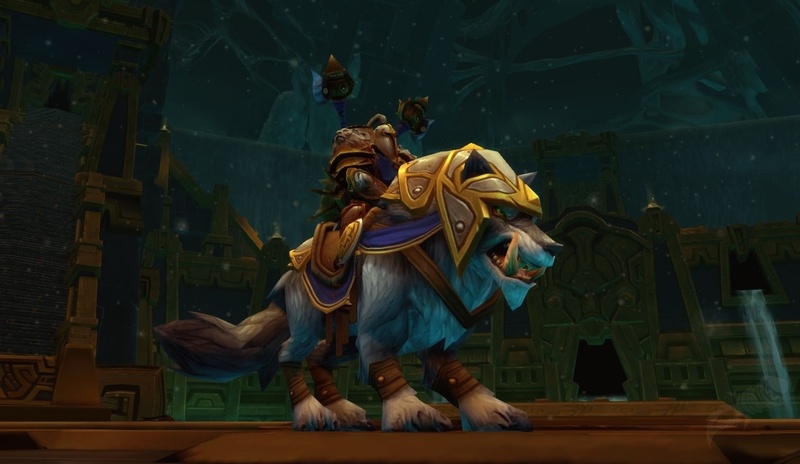 I also use the 'random mount' addon which will dismount if you are already mounted. @Buntz Welcome! I totally agree. Running the vanilla interface again, I have learned that I really miss my DOT timers. As you can see from my October 2009 UI review, I've moved my target to the bottom center. I use this as my cast bar. Miss it!